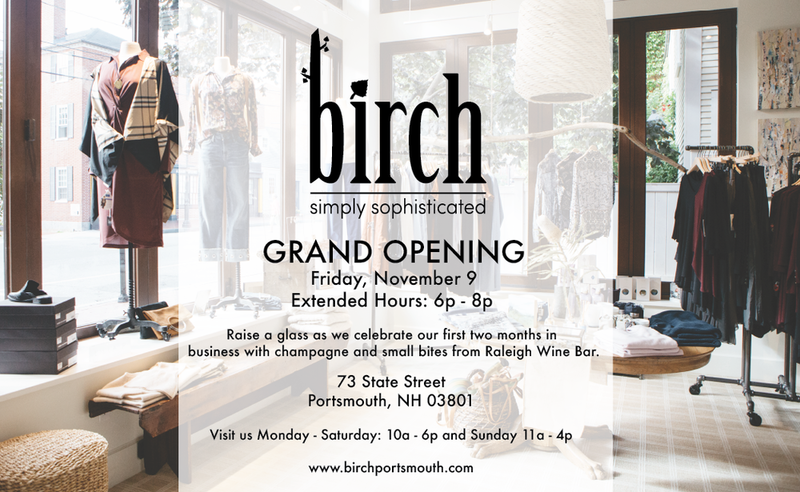 We’re excited to invite you all to an early evening at Birch on Friday, November 9. We’ll keep Birch open from 6pm to 8pm for an after hours opportunity to see what we have in store. We’ll provide champagne and small bites from our neighbors at Raleigh Wine Bar.